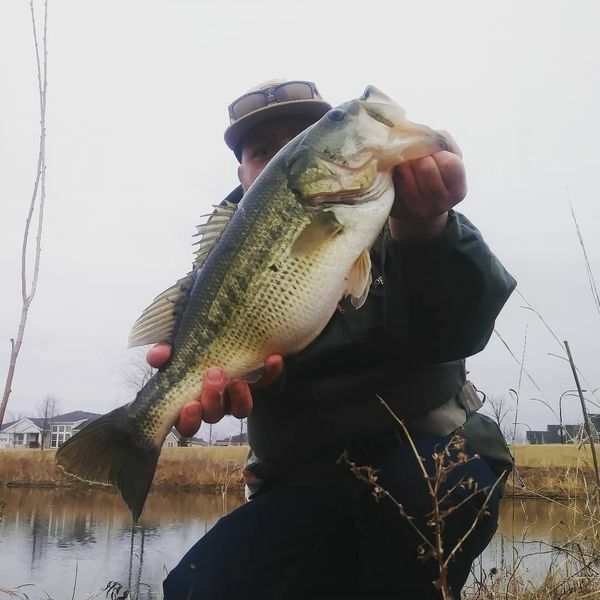 Chicago Fishing Reports | Chicago Fishing Forums • View topic - New PB largemouth on one of my flies. I had to run some errands in the burbs the other day and made sure to pack a fly rod and some flies I've been working on. I'm only a couple years into fly fishing and fly tying. I was rewarded with some really nice fish. 3 bass brought to hand in a really short session. Congrats on that lunker, Justin!! That’s one healthy lookin fish. fine job you did, making and catching. Congrats. What flies were you throwing? I literally learned how to cast a fly rod this past Saturday, lol. Very nice! What was the fly? A diver/slider pattern I like to tie. Chitown-Angler was started on February 10, 2003 and has received 207382130 page views in total since that date.